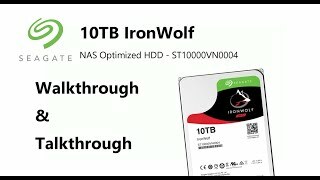 NAS-optimised hard drive for the best-possible user experience IronWolf Health Management in compatible NAS1 systems continuously helps to safeguard the health of your data Drive balance with Rotational Vibration (RV) sensors manage multi-bay vibration for long-term consistent performance and reliability RAID performance optimised that maximises responsiveness and uptime with NAS-aware Error Recovery Control Advanced power management saves energy and delivers the right power at the right time 1. 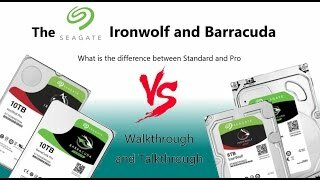 IronWolf Health Management is only available in capacities of 4 TB and up. A bit noisier than I am used to, but then I went for 7200 option rather than 5200 option. In themselves they appear to be efficient and keeping up with the job but I wish I had chosen quieter drives! (My fault as it was mentioned to me by Steve). I would suggest to anyone else stationed near their NAS on a daily basis to find a quieter option! 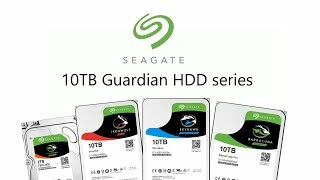 I have a batch of Seagates installed in DS918+ and they work together beautifully. Fast, quiet, efficient. I am running work and home life off the NAS and it remains fast regardless of how many kids are accessing it at the same time! I run 4 of these in my DS918. Synology plus Seagate works like a bloody Trojan. Multi-user Multi-tasker NAS Perfection. 12 out of 10.